Internet has given rise to new practices and new profiles of players. To meet the new problems created in a business changing that professional furnished rentals have felt the need to come together in the union of Professionals Furnished Rental (S.P.L.M.). Additional representative bodies of the property business, tourism and services, this association was created in March 2010, around major players in these new professions practicing in Paris. - The representation and defense of professional, economic, material and moral of members. - The promotion and enhancement of the occupations of the members with public authorities, owners, and tenants. - The assistance and the implementation of tools adapted to professionals. 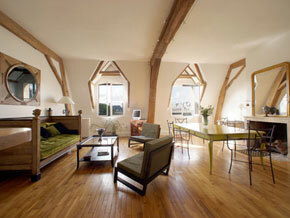 - The establishment of a code of ethics at the service of professionals furnished rental. Paris is the first field of action of the Association. Enlargement to actors from other French regions, and the rapprochement with similar professional bodies of foreign countries will follow. Professionals, owners and users, feel free to send us your questions and expectations. It is our mission to respond. Our environment and the Company changed. Uses in the field of housing are changing. The furnished rental industry is changing, it is a fact. The nature of potential lodgers changed. Who are these new applicants? These new tenants are looking for living quarters for varying periods in which they settle, cook, living the local life. Traditional deals only partially meet their demand. - Professional geographic mobility frees the main homes during part of the year: how to manage their costs? - The aging of the population contributes to the transformation of urban main homes into second homes: how to avoid selling immediately? - Young families no longer have the means to invest in a residence and buying a studio apartment they rent out for extra income. The areas furnished rentals develops evolved: historically, furnished rentals concerned the tourism needs in seaside areas, mountains or countryside. 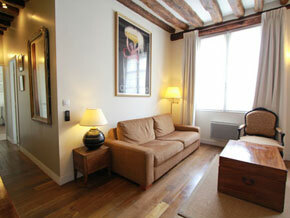 Today furnished rentals is a complement to traditional solutions of lodging in town. It offers new solutions to meet new demand from tenants. Finally, the development of information technology, has helped streamline the development of the leasing sector in furnished and make possible direct relations between landlords and tenants. - The representation and defense of the professional, economic, material and moral of members. - Assistance and the implementation of tools adapted to professionals. - Contribute to the continuous optimization of the quality of service offered to the customer, and this in compliance with the own service policy to each of its members. • we will consider the quality of service vis-à-vis the two main customers of professional furnished rentals: landlords and tenants. • The SPLM, will develop a code of ethics of the profession and propose goals by areas (marketing, maintenance, general conditions, support ...) and will contribute to propose optimization methods. • each member can take ownership of the goals and adapt the methods proposed to his own business. - Developing synergies between the members of the Association and promote best practices.